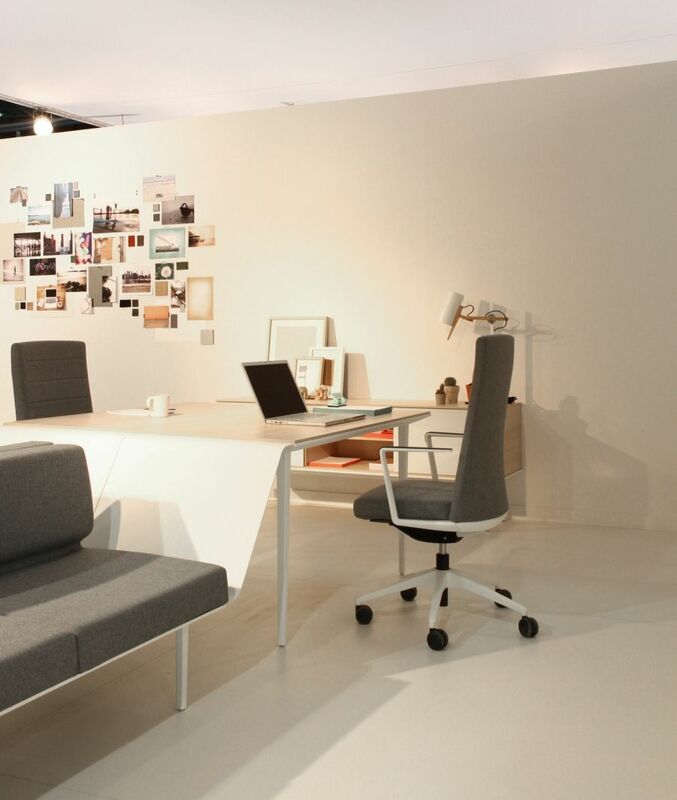 Go to How will the ideal office be like? 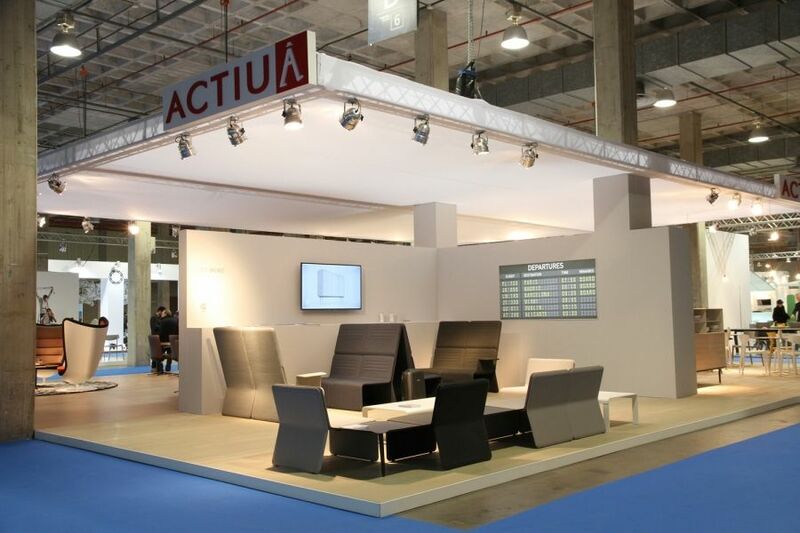 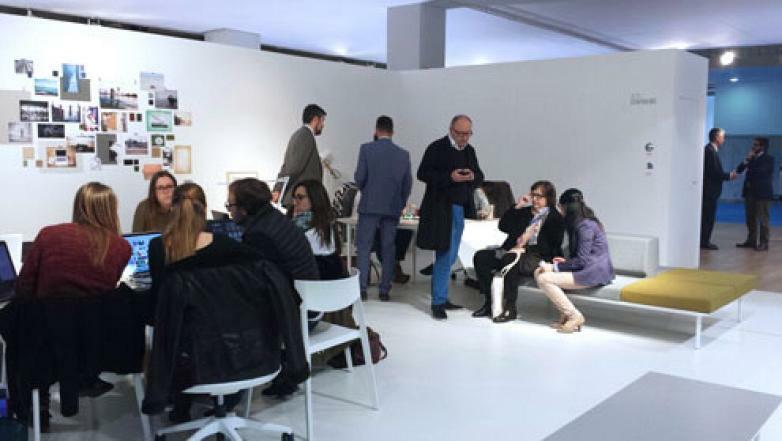 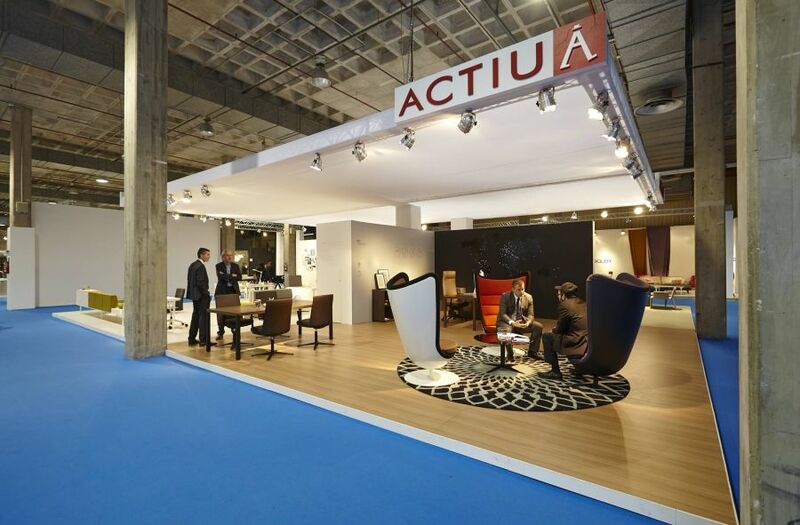 Actiu took advantage of the Feria Hábitat, held 9-13 February, to open a space reflecting on the new work environments. 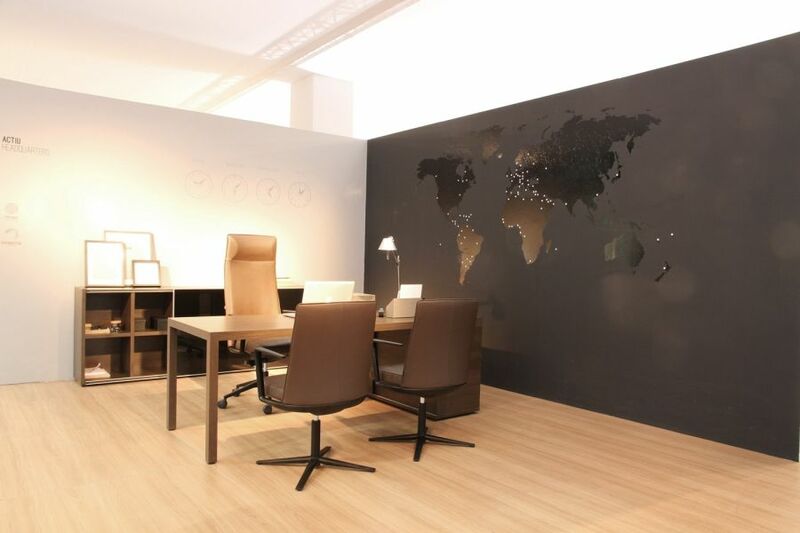 Under the slogan 'And you, where do you work from?' 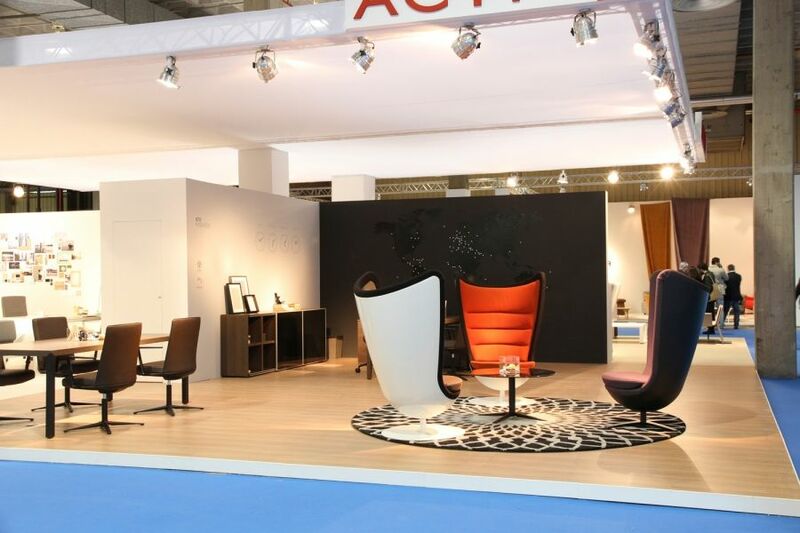 and through the experience of different professionals from the sector, they have shown that people increasingly demand workplaces where they feel comfortable, that flow with inspiration and productivity grows. 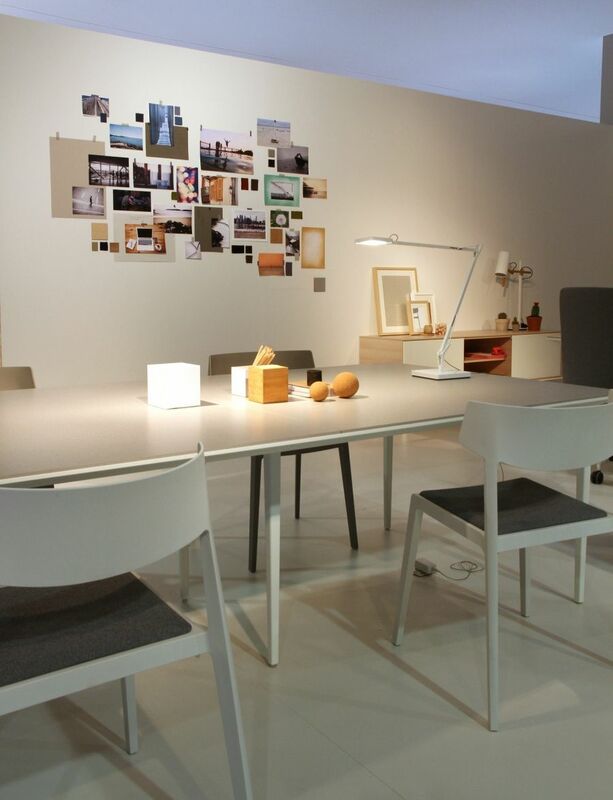 New environments seek to be a mental space not just a physical one, where inspiration flows. 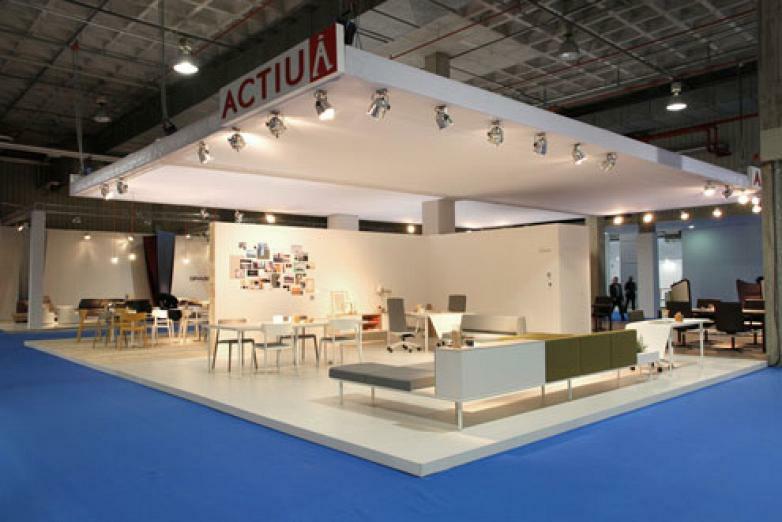 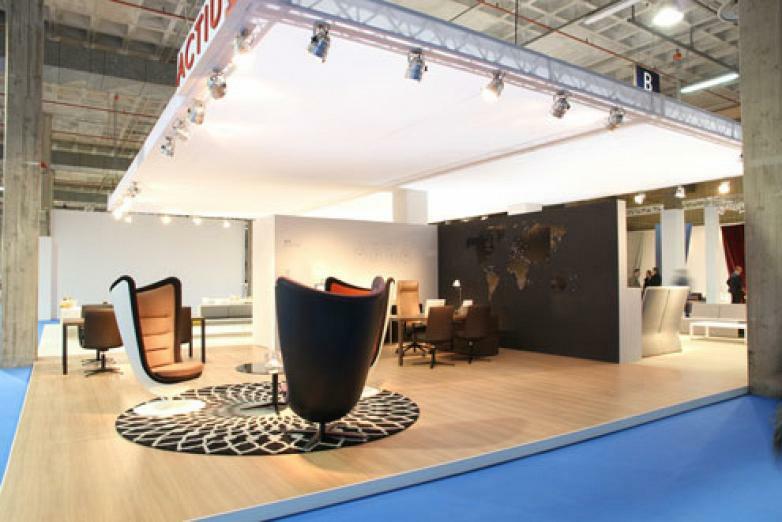 In order to create this type of environment, Actiu was present at a stand divided into four different work areas, created by interior designer Cosín in collaboration with the design studio Odosdesign. 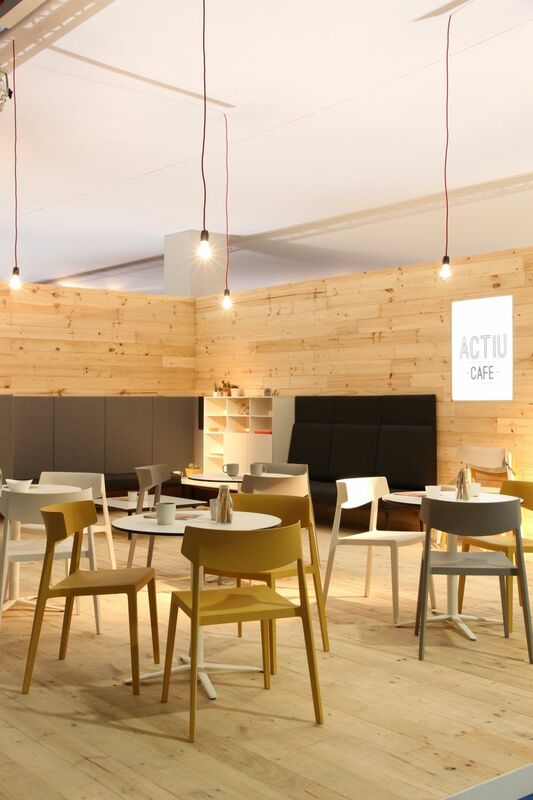 Actiu wanted to show their ability to provide solutions that are tailored to environments in the most varied nature, including those found in the makeshift waiting room at an airport or coffee shop. 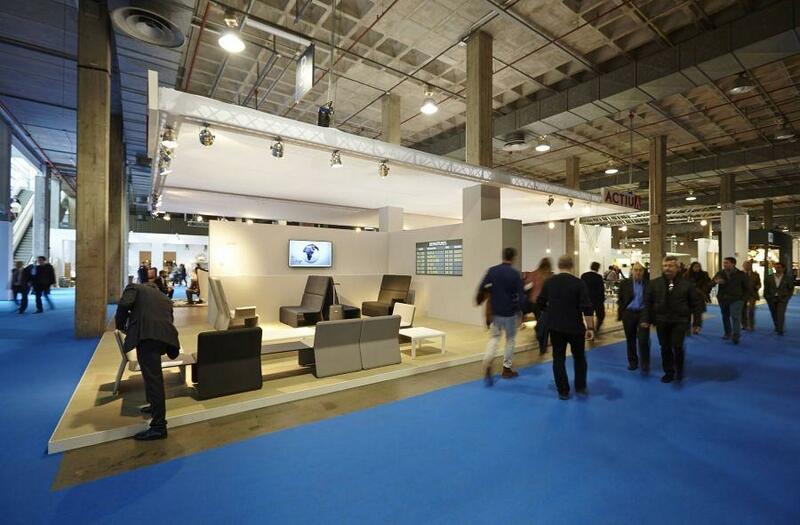 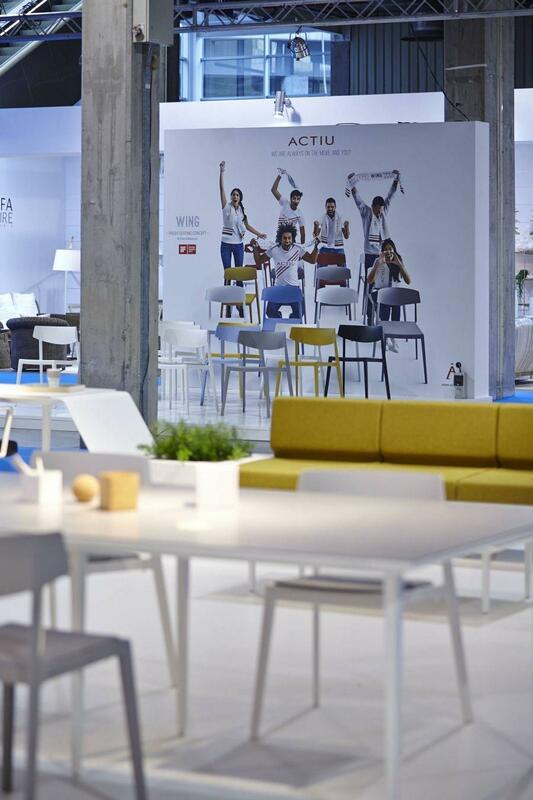 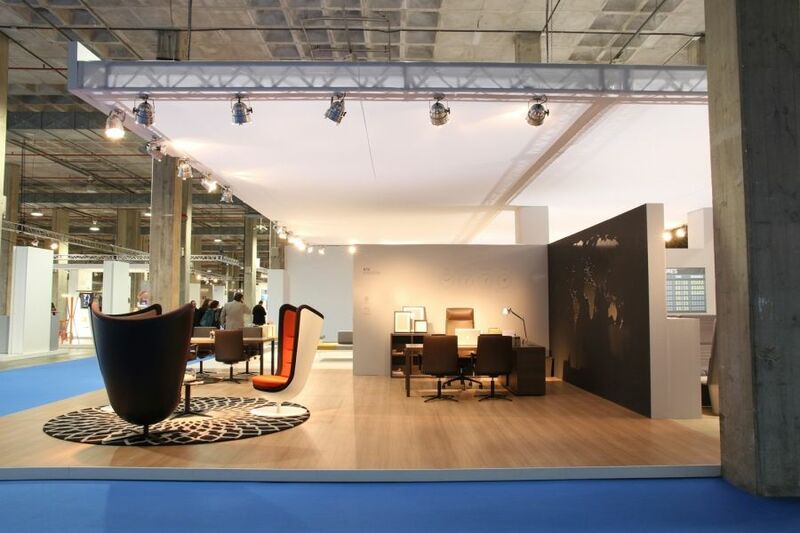 Decorated entirely with the latest developments of this year, Actiu´s stand chaired the entrance of the Habitat Fair in Valencia inviting visitors to interact using their equipment to maintain meetings, rest or sit down to work. 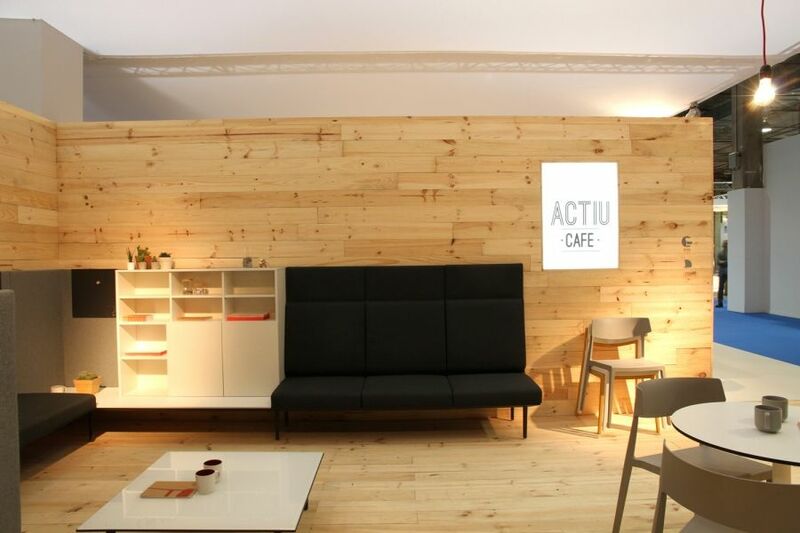 A cafeteria decorated with the awarded-winning chair Wing, recently awarded with the prestigious IF DESIGN. 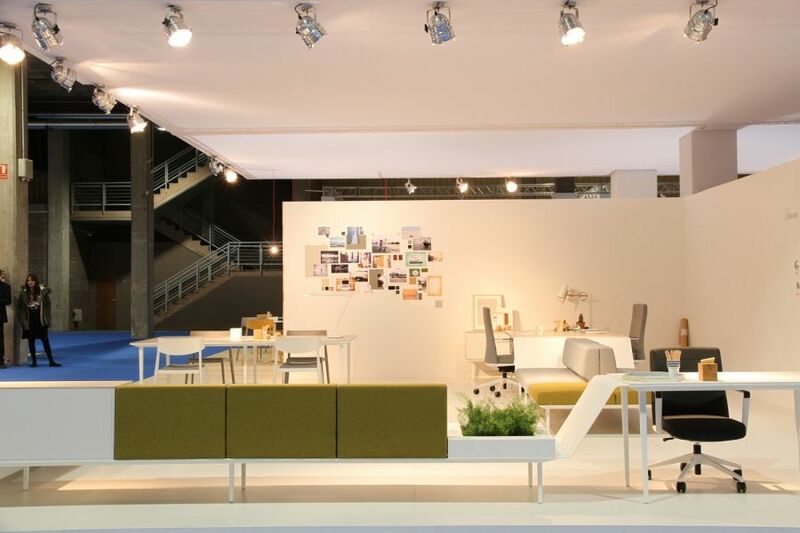 It has perfectly combined with Longo, the creation and configuration modular system designed by Ramos & Bassols, which allows to combine endless possibilities. 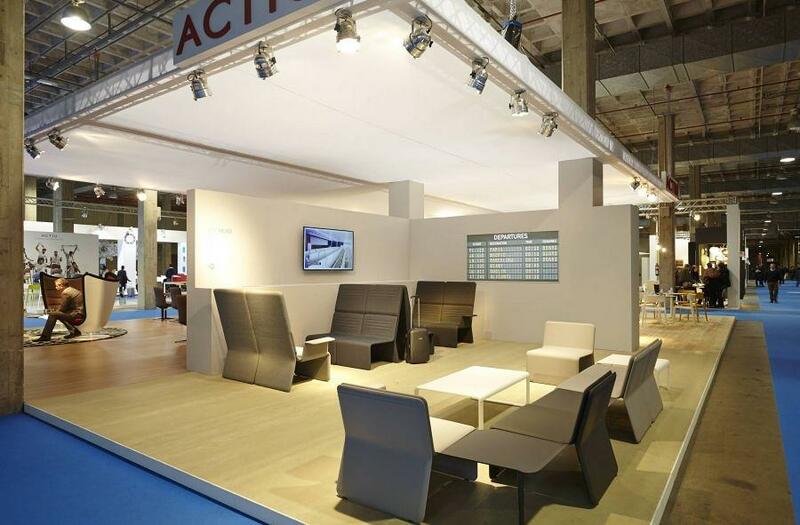 Besides the waiting room of an airport, equipped with Shey, was the collection of modular seating, designed by Ramos & Bassols, dressed for any space, from hotel lobbies, cafeterias or as in the example, an airport, facilitating productivity and privacy, all with great comfort. 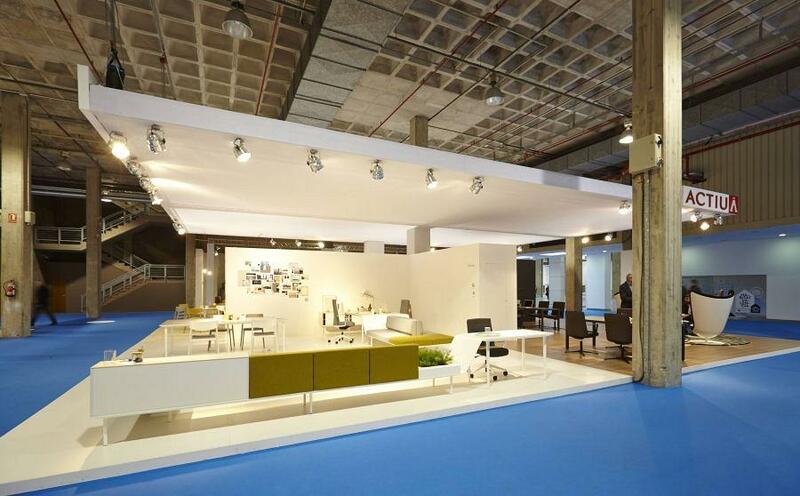 A coworking area, designed entirely with the Longo system, offered a work area with a conference table and an additional sofa for easy reading or conversations. 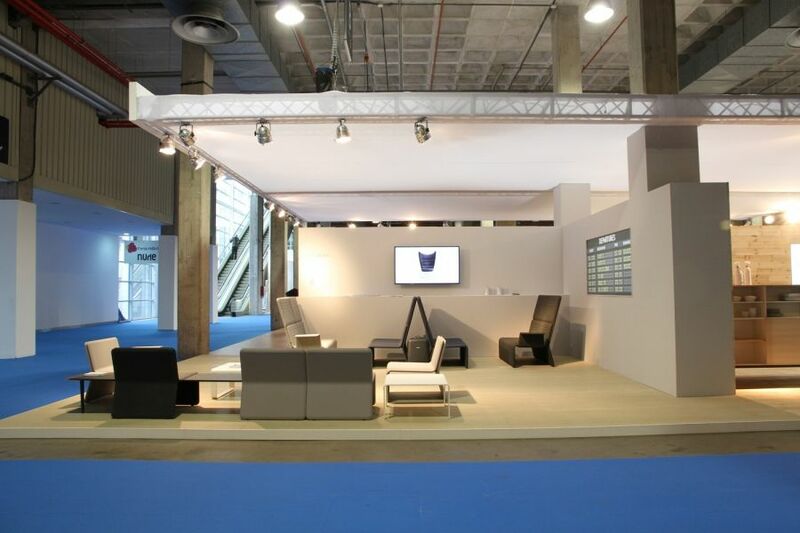 This system, because of its great capacity for structuring and flexibility, was one of the most appreciated by the audience. 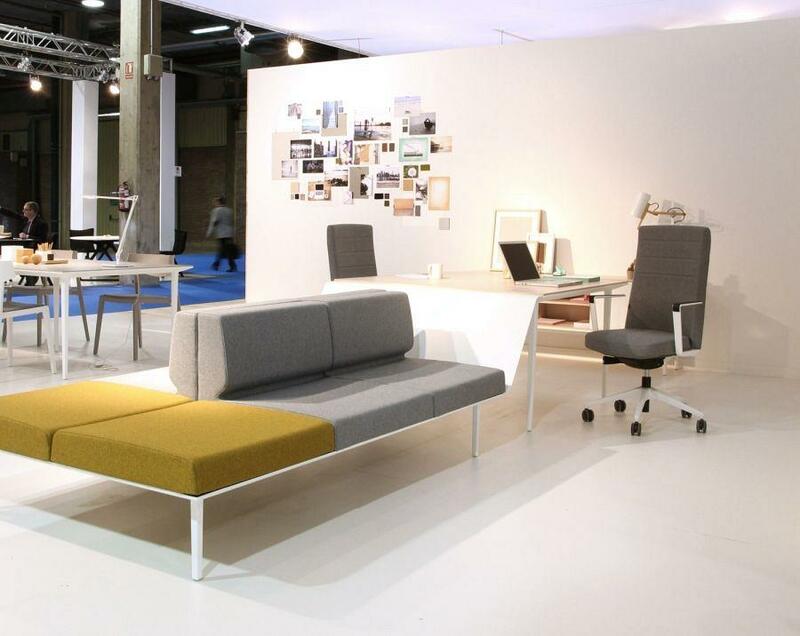 Designed by Ramos & Bassols, it blends the soft seating office from a set of independent modules. 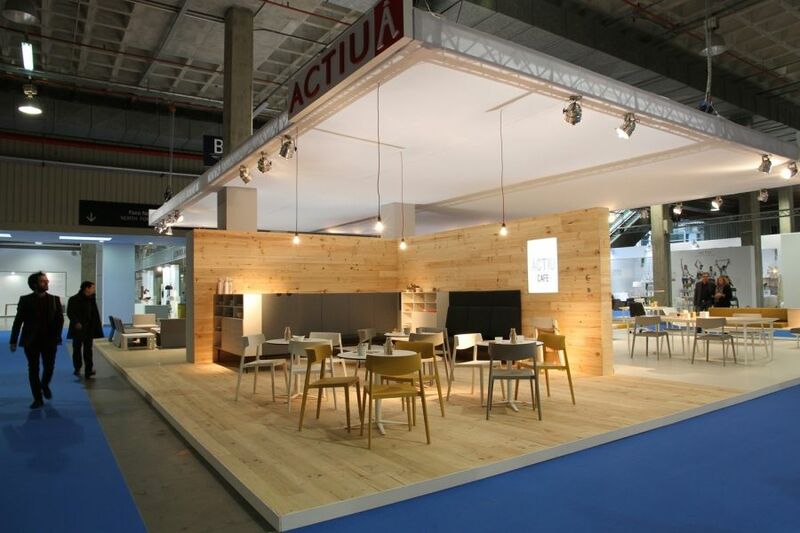 A world of possibilities that combine tables, chairs, cabinets, boxes or small seats, available to any space with the possibility of distributing the different tastes to each one. 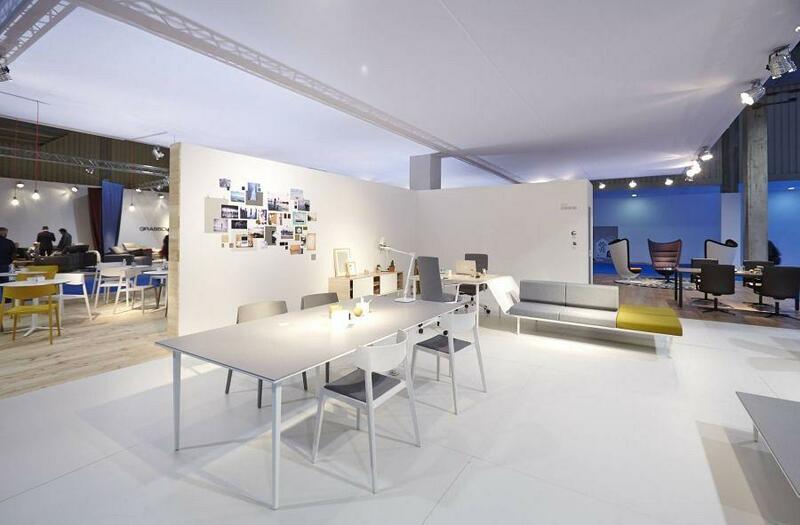 Moreover, three imposing Badminton armchairs designed by the studio ITEMdesignworks presided over the office of the stand, accompanied by the Prisma directional table and Cron chair. 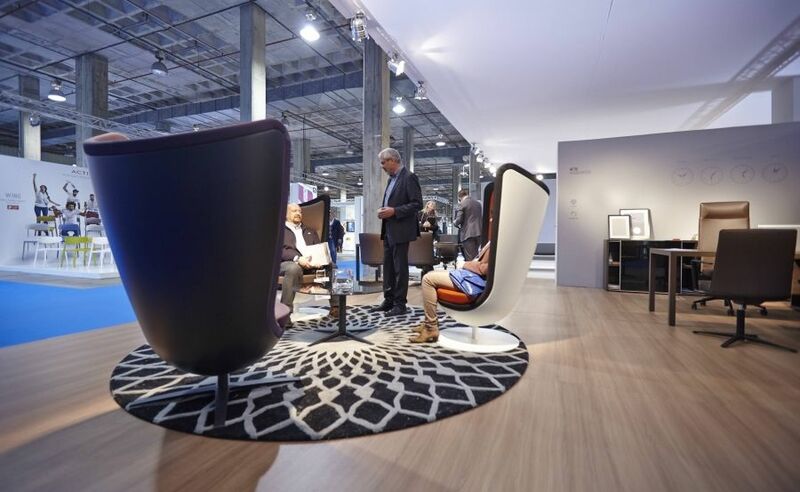 Badminton was one of the main focuses for the hundreds of visitors who took advantage of these amazing chairs to rest, to take pictures or just check that the comfort is not incompatible with the most innovative design. 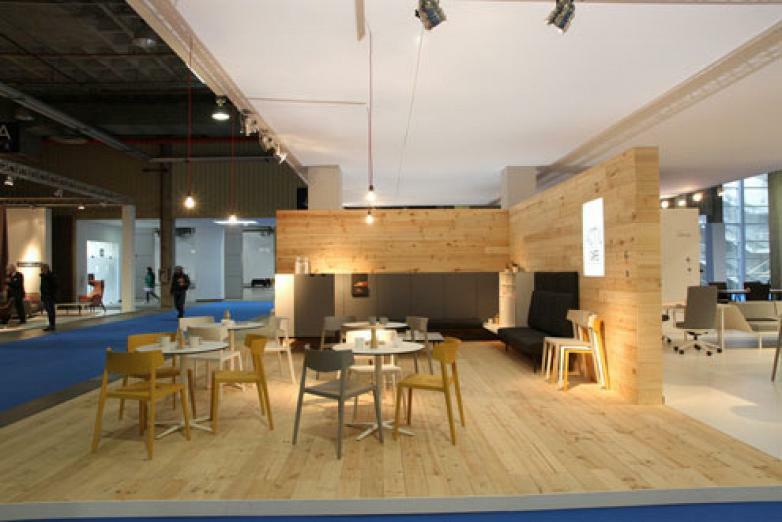 Finally, the stand featured an exclusive area for Wing. This chair was one of the stars of the show. 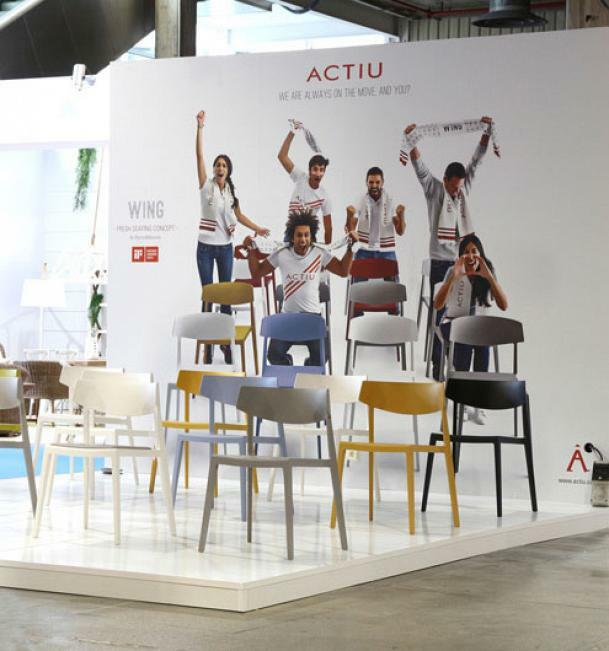 Designed by Ramos & Bassols, the piece perfectly represents the natural technological evolution of the traditional wooden chair. 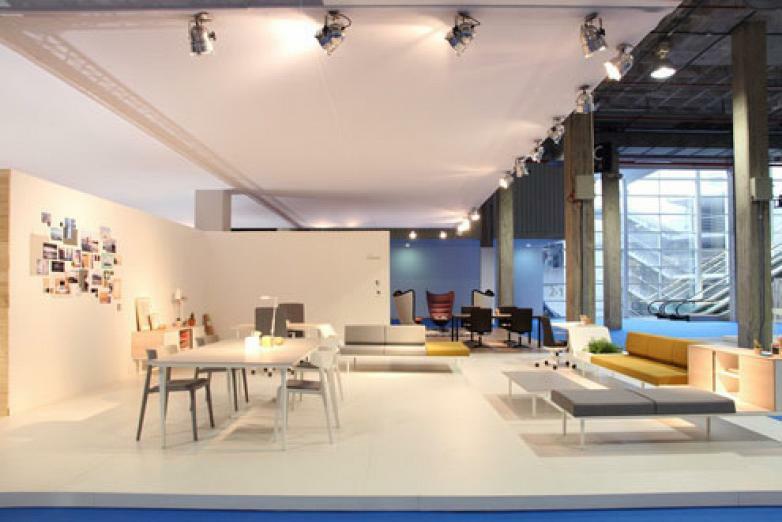 It is made from gas injection, and is a very light piece, made entirely polypropylene, economic and very comfortable, ideal for any type of space, from the office to contract. The stand, as well as being a showcase for the latest Actiu developments, also became a meeting point for professionals and students. 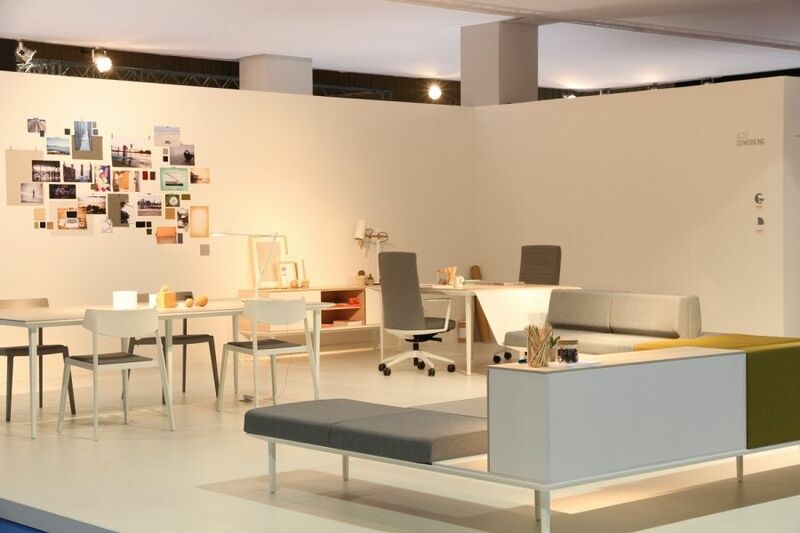 In fact, on several occasions throughout the event, it became a makeshift classroom for design and architecture students so that they had the opportunity to try in situ the different environments to work on their own projects.